You deserve a home you love. At The Madison, we offer one, two, and three bedroom East Forest, Charlotte, NC, apartments for rent near CPCC. Our modern living spaces are beautifully designed with a wide array of features to enhance your home life. Jumpstart your morning in your contemporary kitchen, fully designed with upgraded black energy-efficient appliances. Complete with a convenient dishwasher and ample storage, your kitchen simplifies everyday meals. When you aren’t preparing chef-quality meals, unwind on your private balcony, patio, or sunroom. Select homes also feature a relaxing wood-burning fireplace and a luxurious garden tub for much-needed rest and relaxation. If you are searching for a living space you will be proud to call home, look no further than The Madison. We offer affordable one, two, and three bedroom apartments for rent in Charlotte, NC. 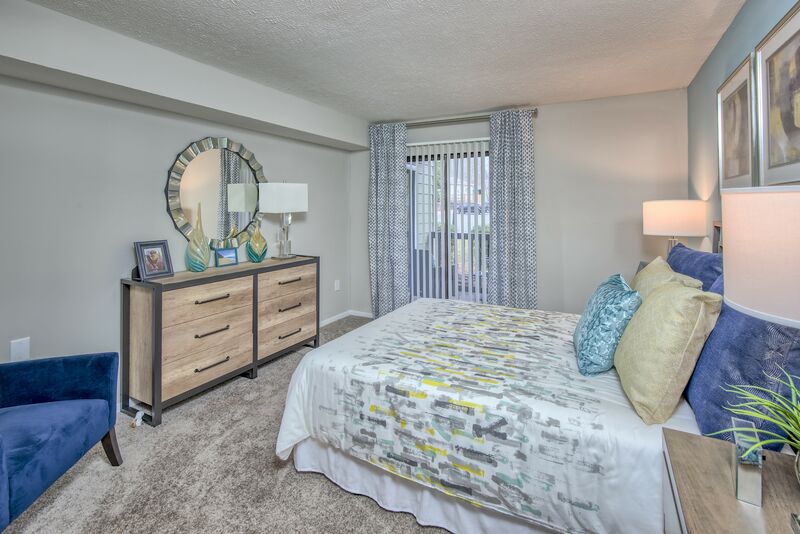 Choose the right-size space from our collection of spacious floor plans ranging from 621 to 1,431 square feet. Your new home offers tall 9-foot high ceilings and handsome wood-style flooring, creating an open and inviting space that will complement your design aesthetic. If you want to tour our Charlotte, NC, apartments for rent near Matthews, get in touch with the professionals at The Madison today.